Internships are a great way to get your foot in the door at the company you really want to work for, especially if you want to land a data scientist internship. There are plenty of benefits for data science interns. They get the opportunity to learn from professionals, gain practical experience in their field, and they can build a strong professional network. Data science internships don’t happen overnight, though. They need time and effort. There are many things you need to work on before you can start applying to become a data science intern. You need to ensure that your data science resume is up-to-date, your cover letter is customized for every company and job descriptions, and you are aware of relevant interview etiquette among other things. If you are in university and wondering how you can get an internship as a data scientist, we have put together some ideas you can use to land that data science internship you’ve always coveted. The key is to start early. Work on building an online portfolio, research the skills you need as a data scientist (including relevant data science certificates) and build a network of professionals who will help you. We’ll talk about these and more strategies in depth to help you find a data science internship. First, don’t worry if you don’t have experience. That’s the reason you are doing an internship – to gain experience in a practical setting so that you may have a base of knowledge of whether you would like to pursue a data science career. The good news for those who are currently pursuing data science internships is that many employers are not hiring for direct experience. They recognize that you won’t have years of experience at this stage, especially if you are currently in school or a fresh graduate. Instead, hiring managers for these data science internships are going to be hiring for specific traits that can result in greater success in a professional setting. Companies know they can train you on the hard skills but they cannot train you on soft skills and grit. As hiring managers often are looking for a person that fits the specific culture of his or her company, we cannot say exactly what would make you a good fit at a specific organization but rather the kinds of traits hiring managers are going to be looking for in a candidate that will be successful at their company and get along well with their peers and subordinates. Attitude: You need to have the right attitude when you walk into the interview. Employers want someone with a positive, can-do attitude. They want someone who is willing to go above and beyond the call of duty and someone who is adaptable to different situations. Hiring managers are looking for candidates who are willing to grow with the company, even as they are hiring data science interns. Keep in mind that one of the main goals of an internship, for a company, is to test out potential candidates for full-time positions. A data science internship at a company should be viewed as a trial-period for you to decide if you would like to work full-time at the company, as well as for the company to decide if you would be a good fit long-term. Culture: Every new employee in a company adds a bit to the company culture. This means that employers want to understand the dynamic you’ll bring to their company and if you will be able to complement their existing culture. It’s important that you understand the company’s culture and if it fits how you work. Find answers to questions such as “Is the company fast-paced or laid back?” “Is the company constantly changing or steady?” and “Is risk-taking encouraged, and what happens when people fail?” All of these questions will give you a greater sense of what the company is about and whether you think you would enjoy that kind of environment. Always keep in mind that asking your interviewer these questions is extremely important, as an interview involves a mutual decision. Indirect experience: Yes, we said you don’t need to have direct experience but that doesn’t mean you don’t need to have any experience at all. Your experience in retail working as a cashier counts as experience towards your data science internship. As much as you may only be doing this for some extra cash, employers recognize these jobs as opportunities to learn a variety of skills. They teach you how to communicate professionally, be a leader, negotiate, resolve conflicts and find solutions to problems. These are some soft skills that will help you be successful in your internship. If you don’t have any work experience, start volunteering or working in your community. Before your data science interview, be sure to take time to think about what skills you have gained working at past jobs and how you can best apply these to your data science internship. Second, you need to build a professional network. It’s good to start building a network of professionals while you’re in school. These professionals will be able to guide you in the right direction and possibly even refer you at the companies they work in so you can get a data science internship. Keep in mind that your professional network can be anyone who you come in contact with, from professors to classmates. You never know who may have a job tip or be able to provide a reference on day. Networking: Look at associations at your university that organize professional networking events. The key is to look beyond your faculty or school and see if there are events that may involve people from other schools or organizations. You can also find events in your city on sites such as Eventbrite and Meetups. Look for data science events, especially if you’re in a major metropolitan area: there should be plenty on those sites. Events taking place outside your university will have a mixed crowd where students, young professionals and managers will be in attendance. Don’t be overwhelmed if you’re in a room full of professionals. This is your opportunity to shine so make the most of it. Make sure you are prepared to talk about yourself, your goals, and ambitions. You never know when someone you meet might think you are the right fit for their company and put in a word that gets you at the top of that pile of resumes. Reach out to your existing network: You need to reach out to people you already know such as your friends, relatives, family friends, and friends of friends. Your friend’s parent might work at that company you want to work for but until you advertise yourself and what you’re looking for, people won’t be able to help you. Talk to everyone around you and let them know you are looking for data science internships. Asking someone you were linked up with out to coffee to “pick their brain” is always a great way to get to know this person better as well as an opportunity to discuss their company or an open position they may be able to refer you for! Use LinkedIn to your advantage: LinkedIn will be your best friend while you’re looking for that internship. Get a Premium account if you can (there’s a free trial!) and find people in the companies you really want to work for. Look for Data Scientists and/or Human Resource professionals and send them a message. In your message, give a brief introduction about yourself and your goals and let them know you’re interested in their company and want to be a part of their team. Ask if they can schedule a short call or coffee meeting (if you’re in the same city) to talk about their role and their career path. You will be surprised how many people will be willing to help you out. Send a follow-up message 1-2 weeks later if they haven’t replied to you. Don’t take this as a sign that they don’t want to talk to you – they might be busy and may have forgotten to reply so follow-up is important. If they still don’t reply, message someone else in the company. You’ll be surprised at how responsive people can be when you are asking them for advice! Similarly, you can use the function to search for alumni of your school or university to find people in data science roles or at the company you’d like to work for who may be extra willing to network with a student or fellow alumni of their alma mater. Online resources: There are plenty of online communities and resources for data scientists. Check out sites like Hunch, Data Mining Blog, SmartDataCollective, KDNuggets, and Kaggle to learn about what’s going on in the data science community and to stay-up-to-date on the latest trends and skills. There are hundreds of blogs for data scientists in different industries that you can subscribe to for regular updates. You can also take advantage of educational resources and free tool guides such as the data science courses Springboard offers for data scientists. If you are looking for data science interview preparation, you can also think about these most commonly asked data science interview questions. Offline resources: Every university has a career centre with professionals who can help you with data internship search strategies, resume and cover letter building and interview prep. Get help from your career advisors on every step of the internship process, like participating in mock interviews or receiving feedback on your resume and cover letter. Your university may also hold workshops on career different topics so make sure to take advantage of these resources. Fourth, you need to conduct research to prepare for your data science internship. This is key to getting through any interview process. Company research: Make a list of companies you want to work for. This list can be based on the industry you want to work in, the culture you identify with, whether the company has a local office, their brand or leadership. 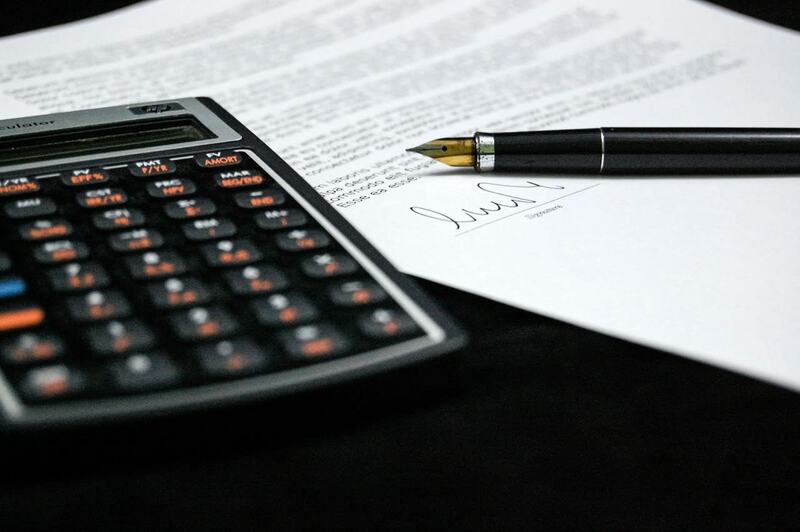 It’s important to know the factors that matter most to you when you’re building this list. Once you have a list of Top 30 companies you want to work for, it’s time to understand what they are looking for and how you can add value to their data science team. Job descriptions: Start with studying the data science job descriptions for the companies you have shortlisted. Highlight keywords in every job description and make a list of words and phrases that are common across multiple jobs and companies. Look at the skills and qualifications to understand what companies are looking for. If you don’t have the basic requirements, find out how you can work towards them through volunteering or by picking up a new skill. Website/Portfolio: Build a website showcasing your skills and experiences. It doesn’t have to include a lot of information, especially when you’re starting out. Look at it as a live document of your brand that you’re going to improve continuously. You can upload your resume here, talk about your journey so far, your goals, as well as what makes you unique. Having a website will give you an edge over your peers and show that you have the skills as well as work ethic to follow through on a project. If you’ve done technical work, you’ll want to make sure you highlight the results as well: this article delves into how to build a perfect data science portfolio. Blog: Another way you can build a personal brand is to start contributing your ideas online. You can do this by creating your own blog and writing about your learnings in data science courses at university or by contributing articles to third-party sites. Link your blog and/or articles to your website and LinkedIn to get noticed on multiple platforms. Pick up side projects: This one may be slightly tougher but is certainly possible. There are plenty of places to pick up side projects that you can add to your resume. Some of these include Toptal and Upwork where you can sign up as a freelancer and work with a variety of companies and startups to gain experience. Lastly, put together a job search strategy and be prepared to apply to hundreds of jobs. Job boards: Many students stick to their university portal to find internships but there are plenty more places to find internships in data science. Some of the best places to look are LinkedIn, Glassdoor, Muse and angel.co. The key is to search on multiple job boards to ensure you are finding all available opportunities. Company websites: In addition to searching on job boards, don’t forget to look on company websites. Some companies may not be posting every job on external job boards. To make it easier for you, we’ve made a list of companies that are hiring data science interns for 2018. There are plenty more companies that are hiring data science interns, but this will give you an idea of the range of industries that need data scientists and the scope of opportunities available to you. Capital One is innovating financial services through a number of initiatives. Data scientists at Capital One are responsible for helping customers solve financial challenges. You will be evaluating tools, integrating internal data with external data sources and designing visualizations to find insights. Civis Analytics offers data science internships in their Data Science Research and Development team where you will be working on predictive analysis, experimental design and algorithm development. This data science internship will be based at their Chicago office where you will work in a collaborative environment while being paired with a mentor allowing you to learn and grow professionally. Dropbox is looking for PhD level data science interns who will be responsible for security data analysis projects. You will work on designing algorithms and machine learning models to identify security risks. SAP’s Innovation Center based in Silicon Valley is looking for data science interns to work on a number of strategic projects. You will be working in interdisciplinary teams to understand machine learning and artificial intelligence. This data science internship is for students in Master’s degree programs in data science disciplines. L’Oreal is looking for students who are passionate, creative and enjoy solving problems in innovative ways. This internship will be based in Paris, France. Micron Technology is looking for students for their IT Enterprise Analytics and Data team. Micron focuses on a competitive environment where data science leads the way for business decisions. If you want to work in a place where you will learn, deliver data insights and build innovative solutions, then Micron is for you. Kayak is looking for interns who are passionate about data science and want to help drive business results. You will be working in a fast-paced environment on a number of projects where you will be responsible for processing large volumes of data to find insights. Nielsen has a Data Science program specifically for data science interns. This program is the Emerging Leaders Internship Program for undergraduates interested in a data science internship with the company. They are looking for future leaders who can work with clients to conduct research, perform qualitative and quantitative analysis and find innovation solutions. Unilever has an R&D Statistician/Data Scientist program for students looking for data science internships. Within this program, you will be applying machine learning, text mining, predictive modelling techniques to gain insights in biological systems and material science. In this data science internship, you will be working for Oracle Data Cloud to implement machine learning. You will be working in cross-functional teams to find the best solutions to target media campaigns. The Central Intelligence Agency (CIA) is offering data science internships where you get to create and develop computational algorithms and statistical methods to find insights from the agency’s unique data sets. AOL has data science internships in a number of divisions including Alto Mail and R&D. Based on the division you are interested in, your role may vary in terms of the skills and the technical expertise required. Walmart has a digital division called WalmartLabs responsible for the company’s e-commerce business. They are hiring for data science interns to work with data coming from their online and offline e-commerce channels. Intel has a variety of data science internships from technical to non-technical. They are looking for experience you have gained in classes, research projects or previous jobs. Yelp hires Summer interns to work side-by-side with their Data Scientists. They are looking for interns to have direct impact on Yelp’s business and user side. Data scientist interns at Yelp will be required to perform analyses, build models, and design experiments. Facebook hires data science interns for its Menlo Park, California office. Some internships are specifically for those pursuing their Masters or PhD, while others require current undergraduate status. Data science interns at Ebay get to enjoy the nonstop intern experience filled with intern conferences, outings, and events. Ebay is looking for data scientist interns to fill roles all around the world. Twitter recruits for interns during the year for its summer internships, with updates that can be found on their very own Twitter account called The Terns. All interns for Twitter have a hand in building a product that’s responsible for having a change in the world. When interning as a data science intern at Twitter, you’ll have the opportunity to meet key leaders and innovators across the company and industries. Good luck to you, wherever you are in your data science internship hunt. Keep our advice in mind as you begin to put together your brand and work towards interviewing with hiring managers and land your dream data science internship. You got this! 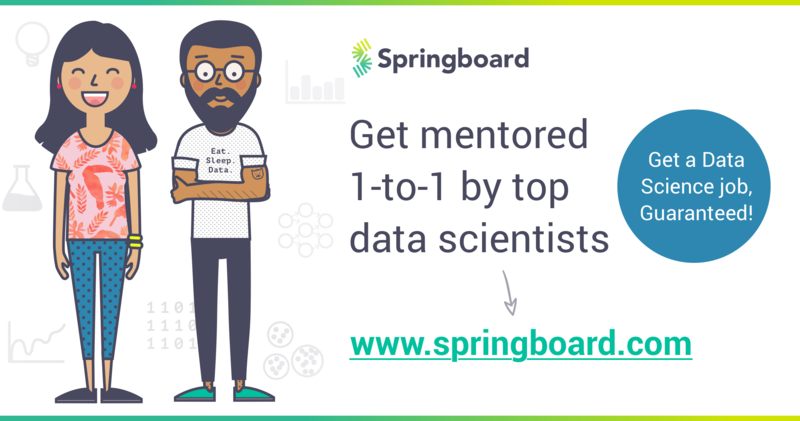 If you want help in your search for a data science internship and personalized career coaching, take a look at Springboard’s mentored Data Science Career Track bootcamp!